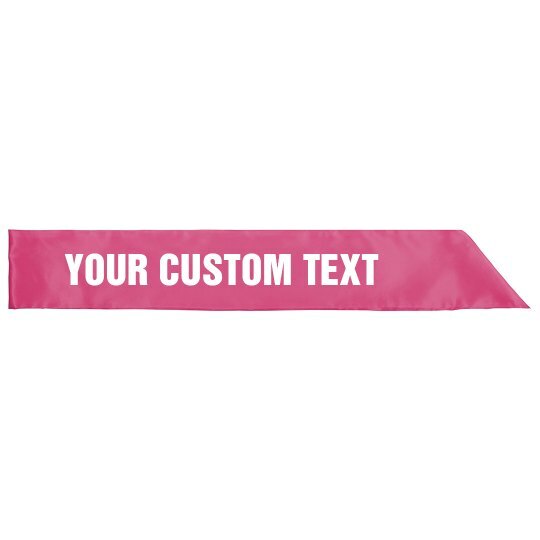 Add custom text to this satin sash. Change fonts. Change colors. Make it say, literally, whatever you want. And this isn't just a teeny, dinky, little sash. This thing is robust. It's wide. It really draws attention to the sash wearer, which is the entire point of sashes, right? Perfect for pageants, contests, bachelorette parties, and just for everyday lounging around the house if you're into that sort of thing.